NEW YORK (WABC) -- For the past nine years, William Edward "Bill" Bratton followed a very simple but meaningful daily routine. He got up in the morning and drove to his favorite breakfast shop in Weymouth, Massachusetts where he bought a plain donut, a newspaper and a couple of scratch tickets before traveling a few more miles for an extended visit at the gravesite of his beloved wife June. He honored June's memory with each second of each passing day. The pair had been inseparable both in life and also in death. Mr. Bratton died peacefully on Thursday, nearly a decade after his wife's passing. Theirs was a love story that could have been taken straight from a Frank Capra movie. It was a love that spanned decades and was built around a commitment to each other and to their family. William E. Bratton was born on July 28, 1926 in Charlestown, Massachusetts. He was one of four brothers. "He had a hard scrabble upbringing and always worked two jobs to support himself and later his family," said his son, William J. Bratton, New York City Police Commissioner. "He'd tell you that the highlight of his life was meeting our mother." Mr. Bratton met June M. DeViller while both were living in the Bunker Hill housing project in the early 1940's and it was a case of love at first sight. A child of The Great Depression, Bratton soon became a citizen sailor of "The Greatest Generation" when he joined the United States Navy in 1944 during the height of WWII. Bratton saw action in the Pacific Theater while serving as a gunner on the aircraft carrier USS Randolph. Like many veterans fortunate enough to have survived the war, Bratton never talked much about his experiences. 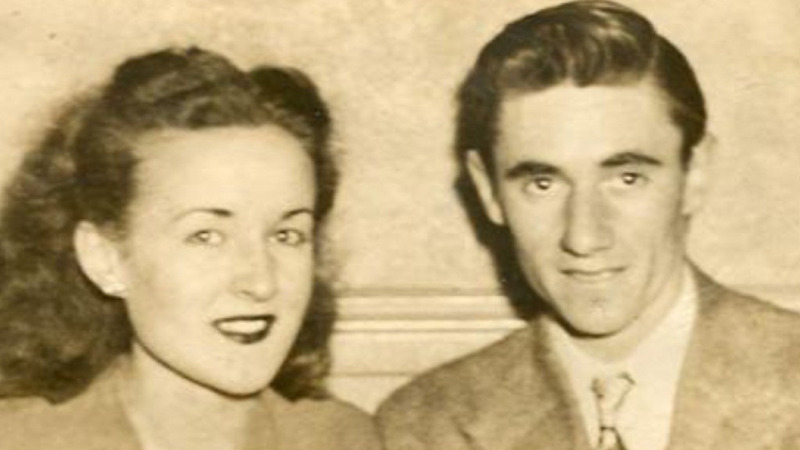 Instead, he returned home to marry his sweetheart June in 1946 and begin their life together. The couple soon moved to Dorchester where they raised their children Bill and Pat. June ran the household while Bill or "Big Billy" as June called him, worked duel shifts at the post office and a metal plating shop to support the family. "My dad was a modest individual who truly felt that he had been blessed with a wonderful life," said his son, who formerly served as police chief in Los Angeles and police commissioner in Boston. "He was proud of both of his children, his grandkids and great grandkids and most of all, he had experienced a lifelong magical love affair with our mother." Bill and June were inseparable for 65 years, 61 of those spent as husband and wife. When June became ill late in her life, Bill was her primary care giver at their bungalow in Weymouth and remained by her side until her death. His children kept him active after her passing. He visited the U.S.S. Intrepid with his son Bill and his grandchildren Kyle and David, where he opened up briefly about his war time experiences, and he loved to play bingo with daughter Pat and her partner Val. Bratton was also known to have a lucky knack for scratch tickets and whenever he won, he was sure to share the winnings with his family. "My father was a very religious man," his daughter Pat recalls. "He had a pair of Rosary beads and a picture of the Pope on his bedroom wall. He recited his prayers every night and would always joke that as his family grew, his prayers got longer and his hours of sleep grew shorter." During the last years of his own life, Bratton told his family and closest friends that he was ready to join his beloved June. "He did his job, he raised his family and he was ready to be reunited with the love of his life," said family friend Bob O'Toole. Mr. Bratton is survived by his son William J. Bratton and his wife Rikki Klieman of New York City, his daughter Patricia Ann Bratton and her partner Val Oestreich of Rockland, Massachusetts, two grandchildren, Lt. Kyle Bratton-Oestreich, currently serving in the United States Air Force, David Bratton and his wife Shawn Bratton of Los Angeles, California, and two great grandchildren Nicolas and John Bratton. Relatives and friends are respectfully invited to attend the visiting hours on Monday 4-8 PM in the McDonald Keohane Funeral Home South Weymouth, Massachusetts at 809 Main Street (Rte 18 opp. South Shore Hospital). Relatives and friends will gather in the funeral home at 9:45 AM on Tuesday prior to the Funeral Mass in Holy Family Church, 403 Union Street, Rockland, MA 02370 at 11 AM. Burial in Holy Family Cemetery, Rockland. See www.Keohane.com for directions and online condolences or call 781-335-0045.